In this twentieth Issue Leon, Tony, James Carter and Josh Garrity go to town on Michel Ancel’s lush 2011 UBIart platformer Rayman Origins, as well as taking a fairly comprehensive look at the Ubisoft franchise’s chequered history. Furthermore we consider Beyond Good & Evil 2 – will it finally get made now? Cane & Rinse 20 was edited by Darren Gargette. Get them oranges down ya with this Quick Rinse. 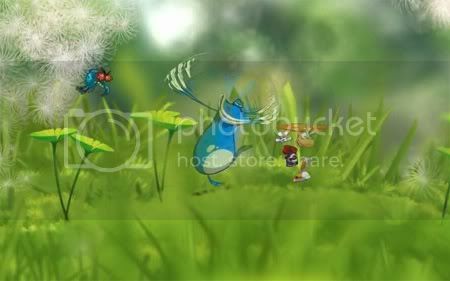 Just got Rayman Jungle Run for Android and was wondering what you guys think of it. Looks as good as Origins, has the same artwork and music. and the death levels are just as infuriating. Does it use an on-screen controller or some other interface? It was out on iOS a week before Android. Rayman automatically runs and the player controls the jump/hover actions by tapping/holding the screen. There's also a punch mechanic introduced later in the game. Yeah its really good. Looks great, almost as good as Origins. I'm playing on Sony Tablet and its really smooth and responsive. Great to have a little Rayman fix after finishing Origins! Death levels are still really hard! I really do need to pick this up ASAP! I've been thinking about doing a full play through of all the mainline Rayman games again just to see how well they've held up. Ghost World wrote: I really do need to pick this up ASAP! I've been thinking about doing a full play through of all the mainline Rayman games again just to see how well they've held up. Just finished this over the weekend. Will have to listen back to this show to find out why people like it so much.